With the mobile coupon market industry projected to be worth $46 billion by 2015, the future of mobile commerce lies at the touch of a smartphone or tablet (Juniper Research, 2011). Consumers eager to purchase anything from electronics, leisure, apparel, appliances and food as well as receive discounts, deals, and promotions will now be able to process their transactions simply by using their mobile devices. 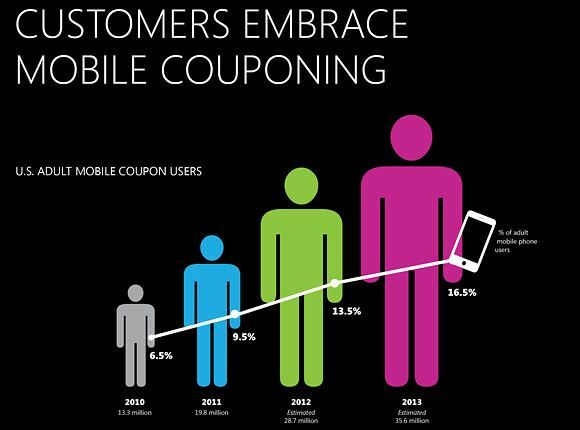 Businesses are increasingly turning to mobile coupons to engage their customers as 16.5% of adult mobile phone users will be using mobile coupons by the end of 2013. An impetus for the mobile commerce market, mobile coupons are at the backbone of the launch of the digital wallet. Digital wallets such as Passbook, available on the iPhone or iPod, make storing mobile coupons much simpler and more convenient than clipping paper. Digital wallets eliminate the hassle of having to carry paper discounts, coupons, and tickets, but also make it easier to for consumers to make purchases through the use of their mobile devices. Today’s technology allows users of mobile devices to use their phones and tablets to pay bills and make purchases. Mobile devices have the capability to store, send, and receive money in accounts associated with their handsets, allowing consumers access to banking and payment capabilities. Customers with access to mobile coupons can use their mobile devices like an ATM, withdrawing money to make a purchase, which is especially useful in emerging markets where people don’t otherwise bank. Mobile payment is being adopted all over the world as a means to make electronic purchases through a smart phone or tablet. In a 2011 interview with the Harvard Business Review, Google CEO, Erin Schmidt, prioritized mobile money as Google’s second highest focus. In 2013, mobile payments for goods and services is expected to exceed $300 billion globally (Wikipedia). Mobile couponing allows businesses to use innovative techniques to gather information about the consumer’s lifestyle, work patterns and real-time activities. 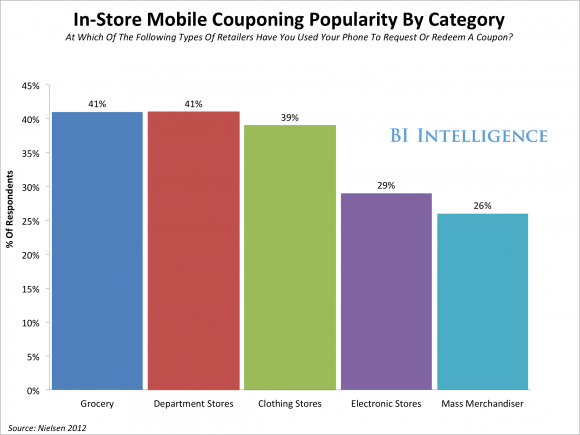 Using mobile coupon ad units, companies are able to track preferences in brands and categories, thereby targeting mobile coupons toward their customers’ preferences. Using mobile coupons as a great vehicle to build around mobile alerts and CRM, businesses benefit from the understanding that everyone loves a great deal. The low production costs of mobile coupons versus print coupons benefits companies who can test their market and make changes after identifying which coupons are being redeemed by which users. 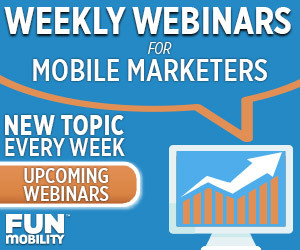 Testing via mobile ad campaigns creates faster, easier, and more affordable marketing efforts. And with mobile ads performing 4 to 5 times better than traditional ads, smartphones and tablets have changed the way businesses connect with consumers. Have you started using mobile coupons? Let us know your experience with them in the comments below!